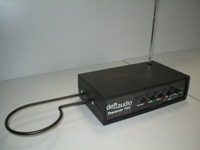 Deftaudio in Russia has released a new theremin, the Termenvoks TV2. Here's An automatic translation They also have a laser harp. Any TW members have this one yet? Many Thanks to GordonC for the tip!